This past Saturday, we needed to get out of the house. It was hot (+100F, blech), and the only thing I had to do was cleaning. Who wants to do that? Not this girl. 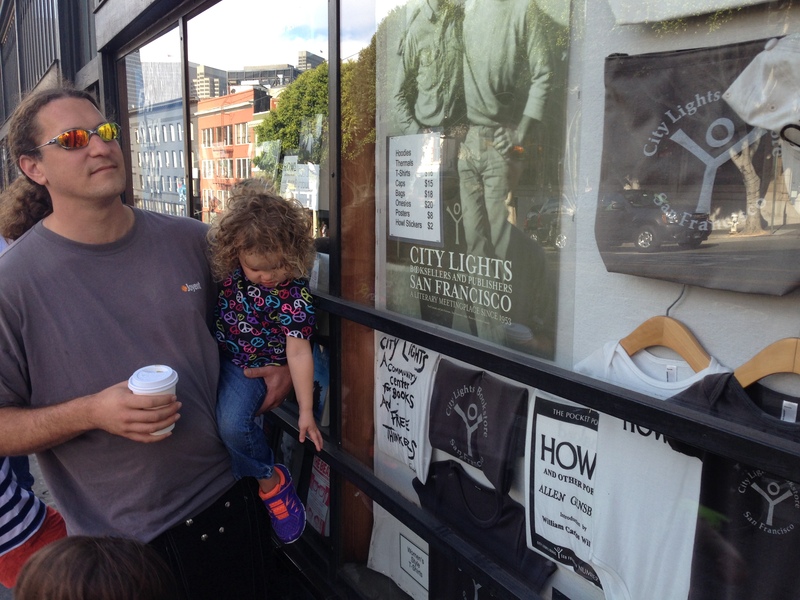 So we headed to SF for an adventure day. Originally we were going to go to the zoo…but after spending more time enjoying ourselves at The Melt, eating ridiculously good jalapeno and grilled cheese sandwiches with tomato soup, than we intended, I had to look for something else to occupy our afternoon. 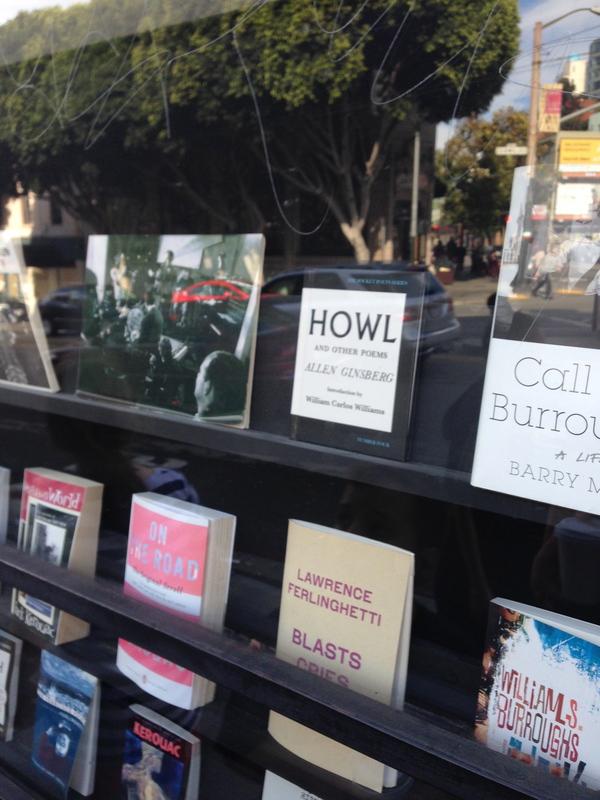 Suddenly I remembered what I wanted to do: CRASH NORTH BEACH. 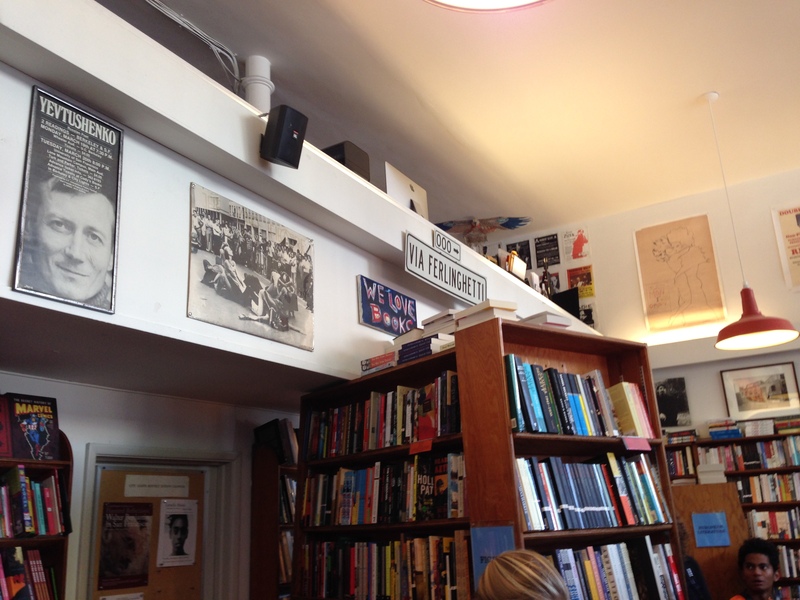 The Beat Generation really found itself in North Beach. They even have a Beat Museum…which is cool, even though it seems to go against the whole grain of “Beat.” Just my opinion on that. 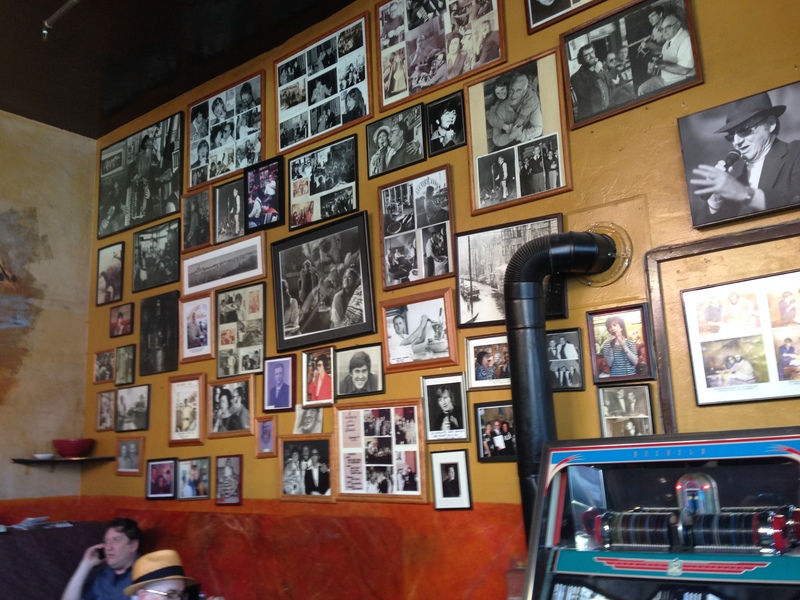 So, the first place we went was Cafe Trieste, which has walls and walls of pictures of amazing poets (Allen Ginsberg), writers (Francis Ford Coppola) and visionaries (Lawrence Farlenghetti). I got two cups of black coffee, and it came out of an old school glass carafe…and it was really good coffee! I know this is an odd thing to marvel over, but ordering black coffee is tricky because it is either really weak or really bitter. This was strong, but not burnt. So, I approve. 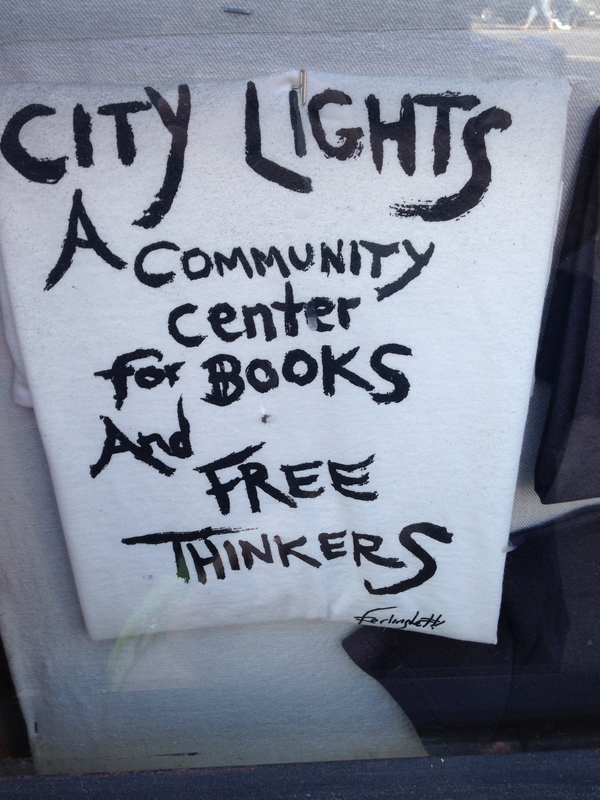 Then we went across the street to “City Lights,” which was not only co-created by Mr. Lawrence Farlenghetti, but it was the publishing house for most of the Beat Poets’ first books, such as “Howl and other poems” by Allen Ginsberg. 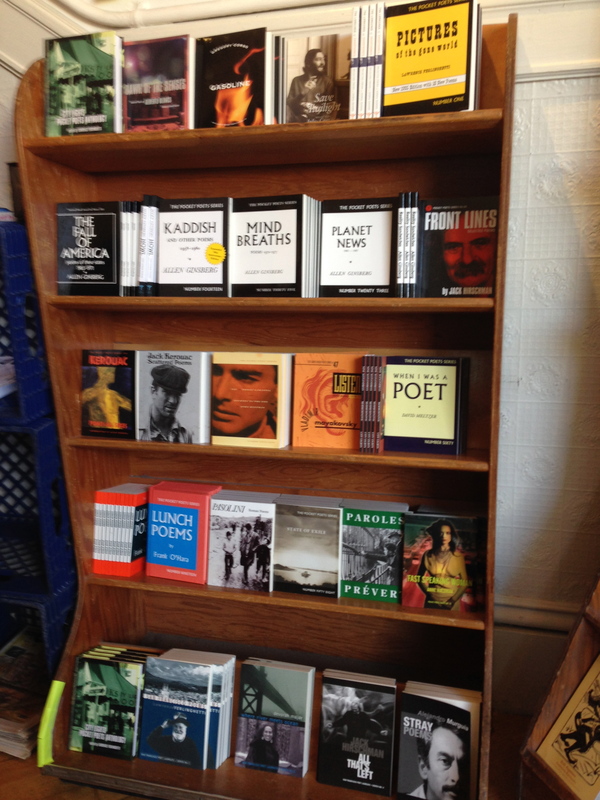 This is the first floor of the bookstore, and I tried not to look like a tourist. So I put my phone on mute so no one would hear my phone take pictures. It was a total Batman move, on my part. 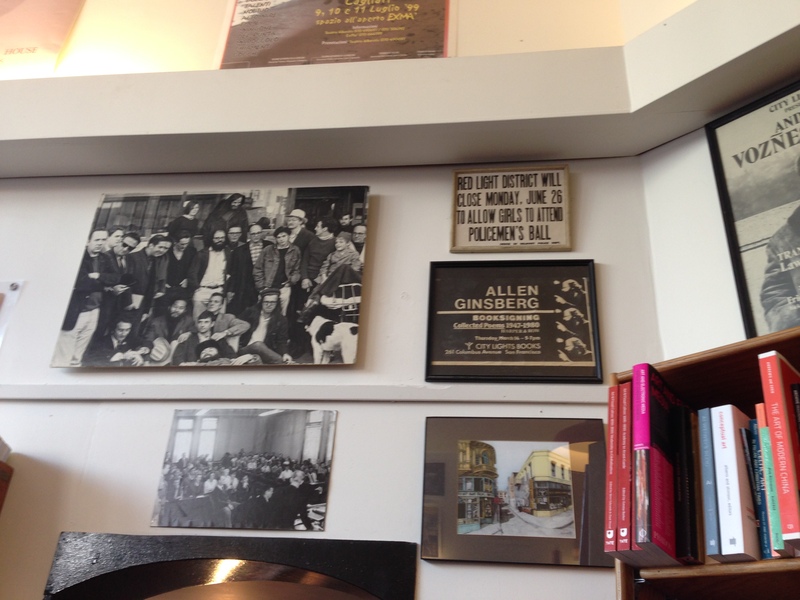 There were pictures and original posters for world-changing books all over the place. My geek-o-meter was completely off the charts. I started walking upstairs and took pictures of entire book cases so I had the titles of all the books to add to my reading list. Along with some websites for later! Here is where I almost wept. 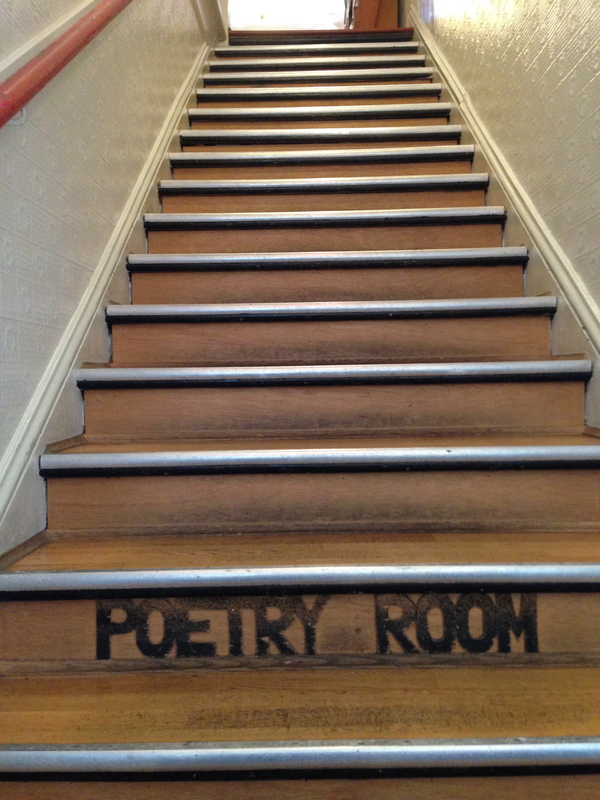 This was the staircase to the Beat Poetry room. 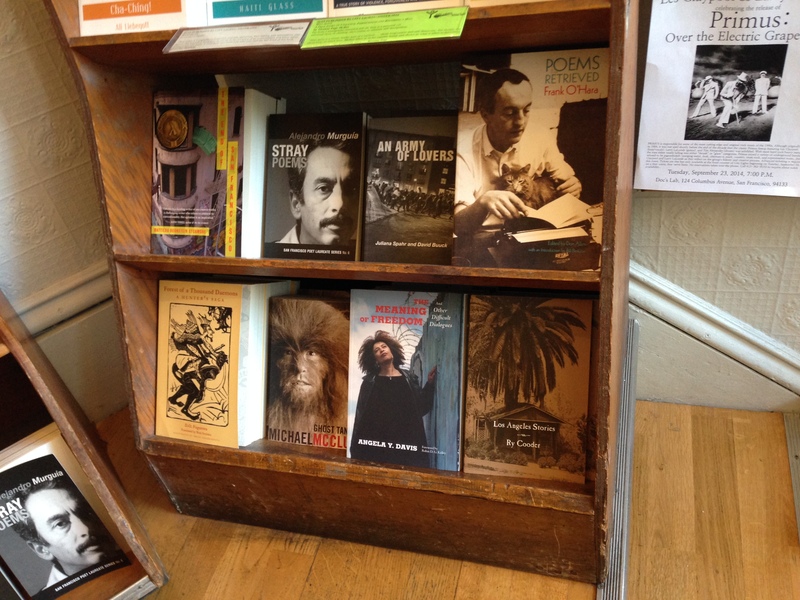 There were pictures of the poets along the way, and quotes from the poets typed and framed. It was ascending to victory. 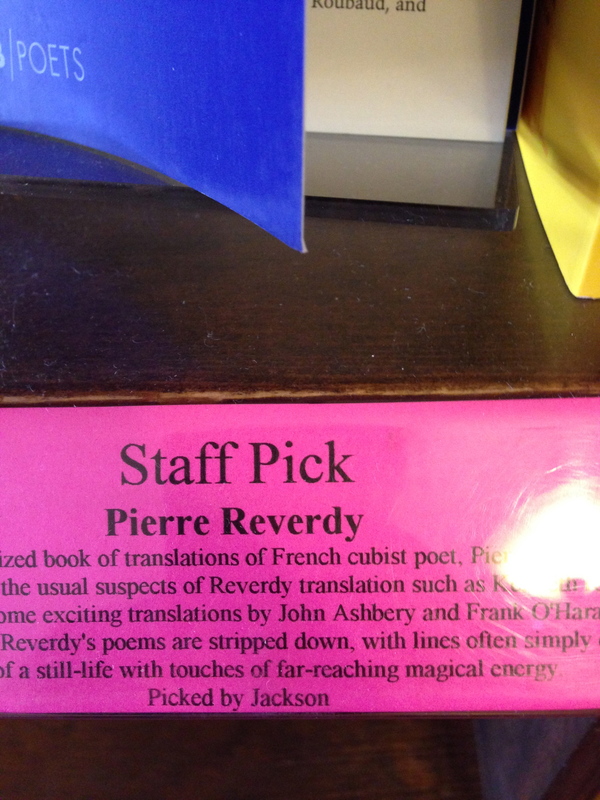 Here I discovered French Cubist Poetry…WHICH I DIDN’T KNOW EVEN EXISTED, BUT THAT IS SO AMAZINGLY AWESOME, IT IS INCOMPREHENSIBLE. I also took some pictures of names I wanted to check out later. 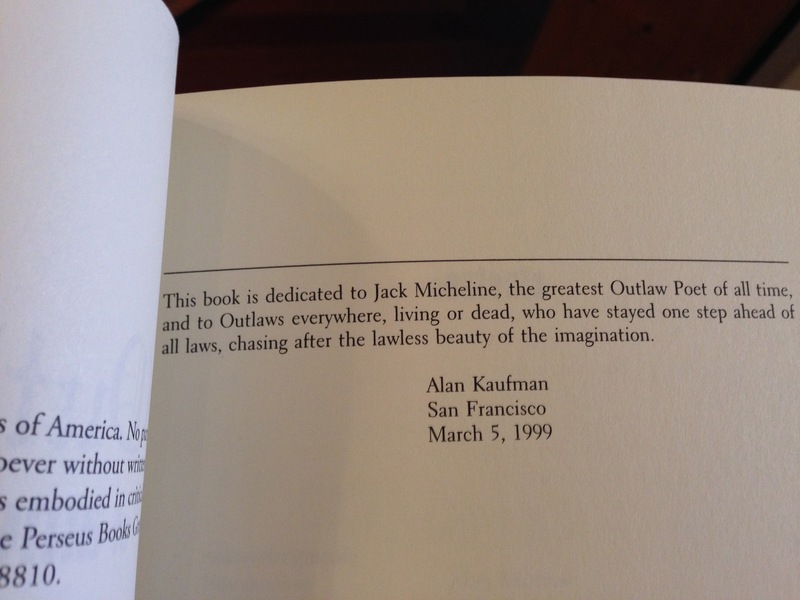 This is the dedication page of “Outlaw Poetry” which is an anthology by SanFrancisco poet, Alan Kaufman. I have been thoroughly enjoying reading his works and projects, and I am really hoping to learn something from him. He and some buddies almost had a Free University in SF, but it looks like the idea fell apart, which is a bummer (but understandable). 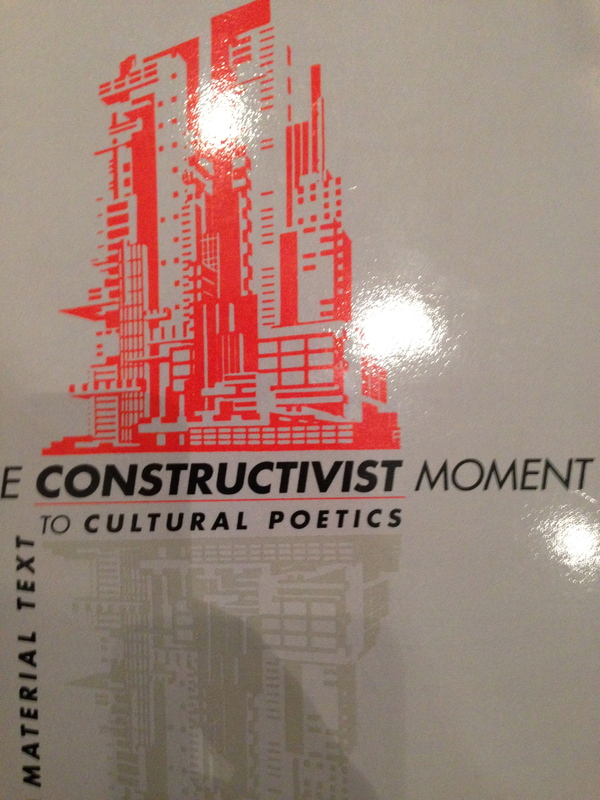 What is the “Constructivist Moment”?? I love finding things I never knew about. 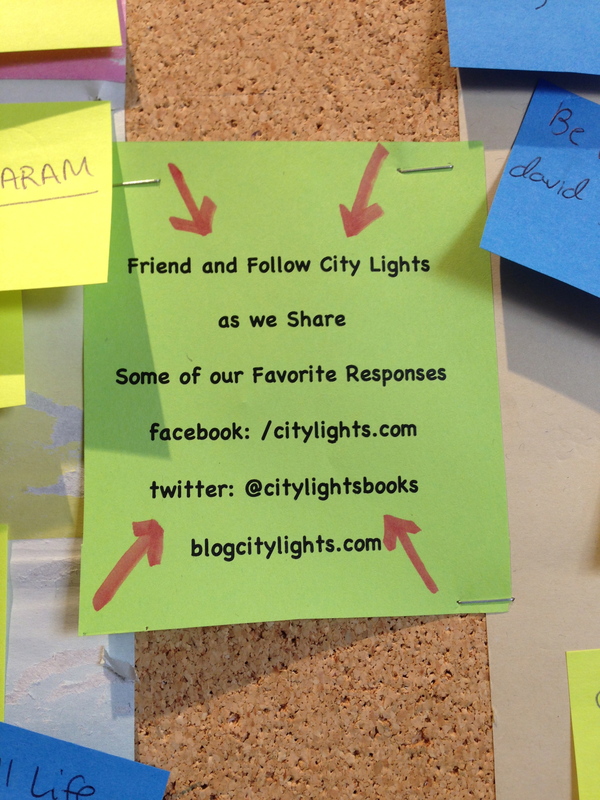 So, I bought a few books (which will be in another post, entirely) and a “City Lights” button for my backpack, and went outside to find Ben and the kids, who I could hear playing in Jack Keurouac Alley through the poetry room window. 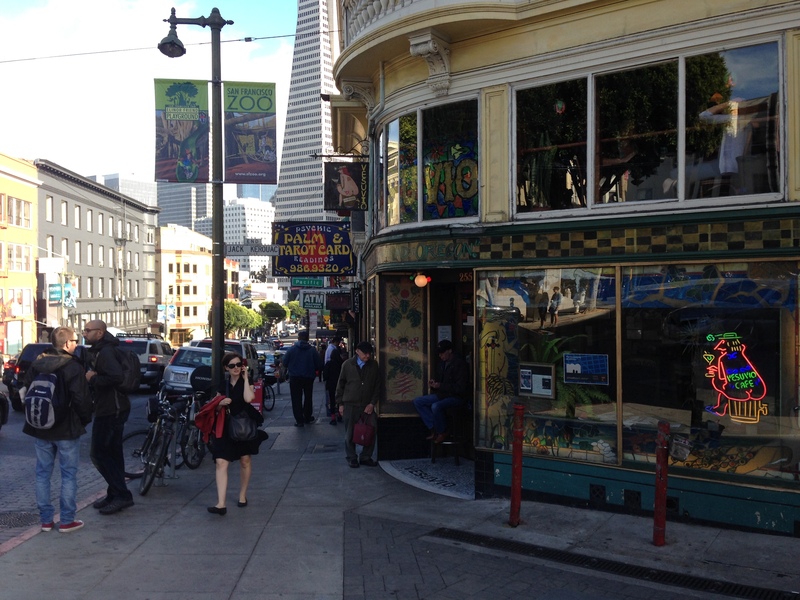 But first, I found Vesuvio, the famed bar that the Beats frequented. That shall be visited later. 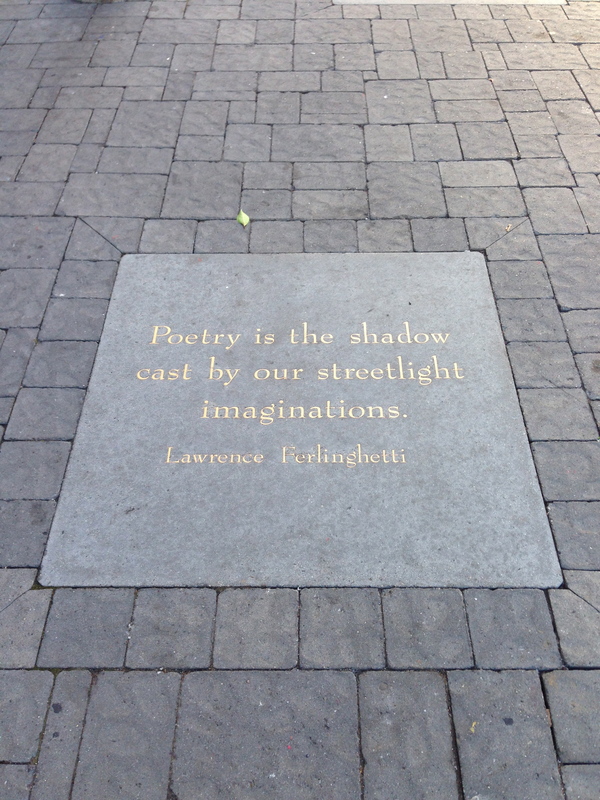 In the alley were a bunch of these lovely quotes from poets. 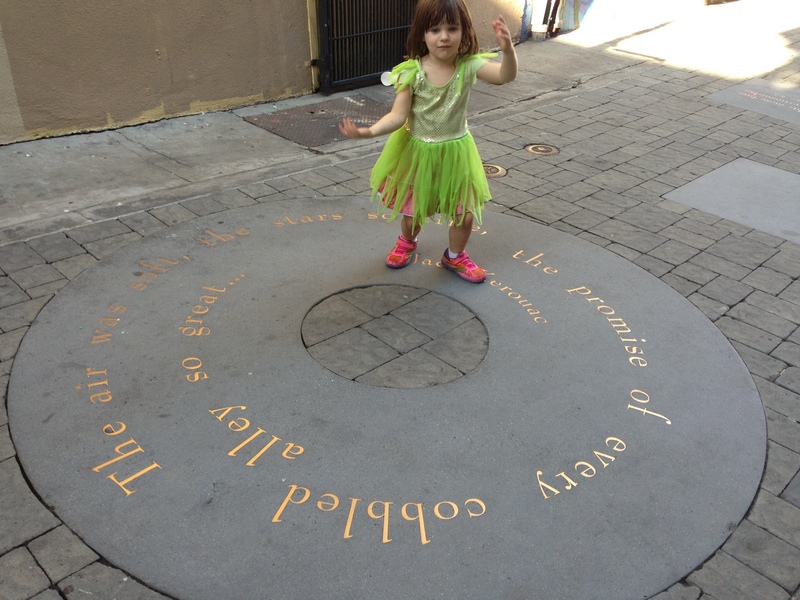 And Eve loved showing me her dancing in the middle of Jack Kerouac’s circle, which was far too fitting.